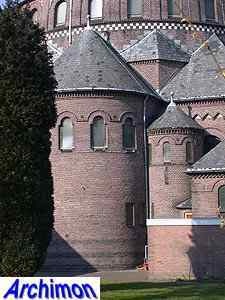 After 1910 Almelo rapidly grew as a result of its textile industry. 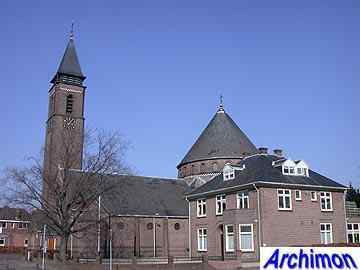 New neighbourhoods were built just south of the old town. 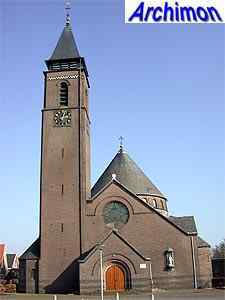 A second parish was founded. 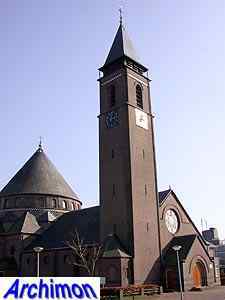 Architect Jan Stuyt designed the new church, the St. Egbertus. 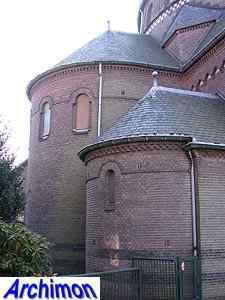 It is a three-aisled cruciform church with a centralizing, cloverleaf-shaped floor-plan. 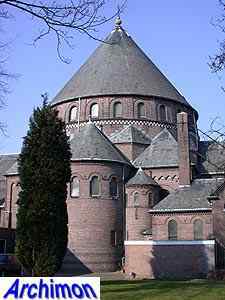 It has a short pseudo-basilican nave, a big circular crossing-tower with cone-shaped dome and a square tower at the side of the front. 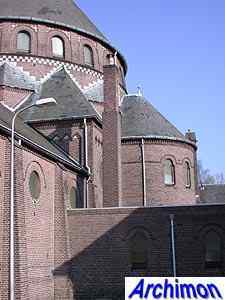 The church was built in two stages: in 1922-1923 the eastern part, including the dome, were built while the nave and the tower only followed in 1930-1932. 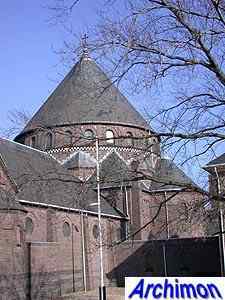 The entire eastern part of the church shows Byzantine influences while the interior of the nave is based on German Romanesque. 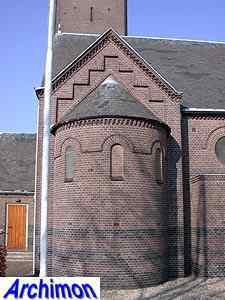 Several parts of the exterior of the eastern part are decorated with checkerboard-motives as typical for Stuyt's work. 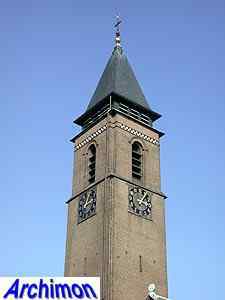 The nave and tower were built according to a simplified design and are more sober in their details. 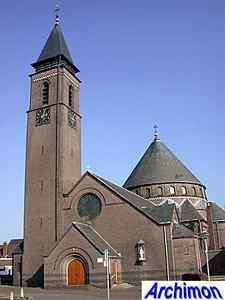 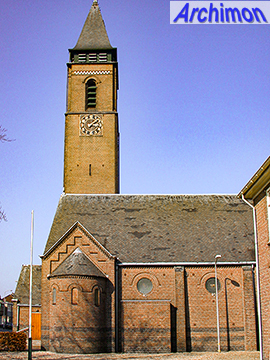 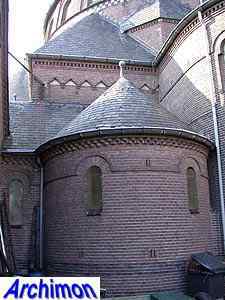 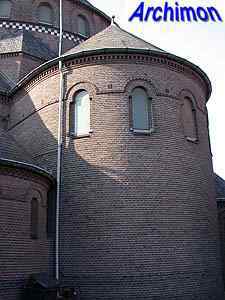 The church was closed in 2004, following the merging of three of Almelo's parishes. 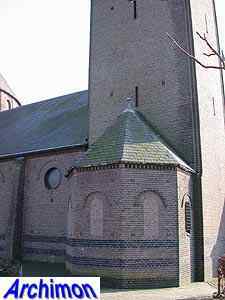 Its future has been uncertain since.